Cold enough for ya? If you’re in any part of the US besides perhaps California, then you’ve been suffering just like me through this horrid winter that just won’t quit. 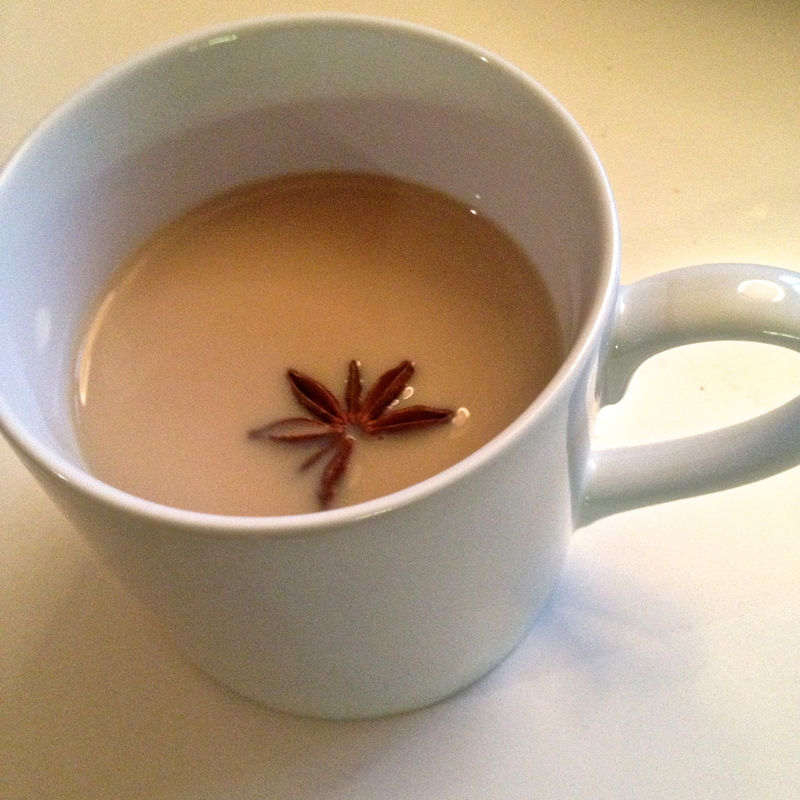 I truly think that the only thing that’s gotten me through has been my friend Grace’s homemade Chai Tea recipe. It’s so good, and I’ve made it so often, it’s almost replaced my morning coffee. Almost. Make a large batch, and either heat it up, cup by cup, or serve it iced – also so good. It’s much tastier than any artificial, too-sweet version you’d find at Starbucks, and you’ll really impress your friends. Especially those in extra layers and down parkas and mittens and hats and scarves and long underwear and wool sweaters and OMG WHEN WILL THIS FRIGGIN’ WINTER EVER END?!?! Add 6 cups water to medium saucepan on medium-high heat. 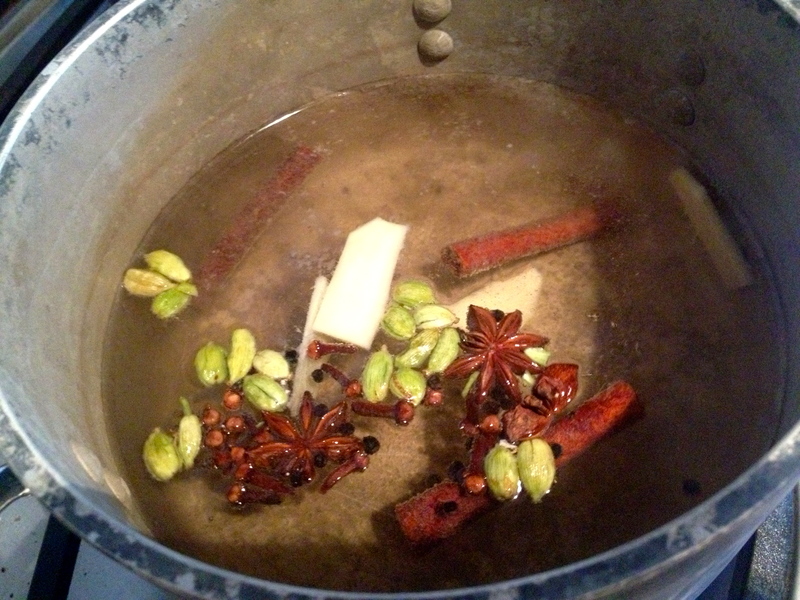 Add cloves, peppercorns, cardamom, cinnamon, star anise and ginger and bring to a boil. Lower heat and simmer for 20 minutes. 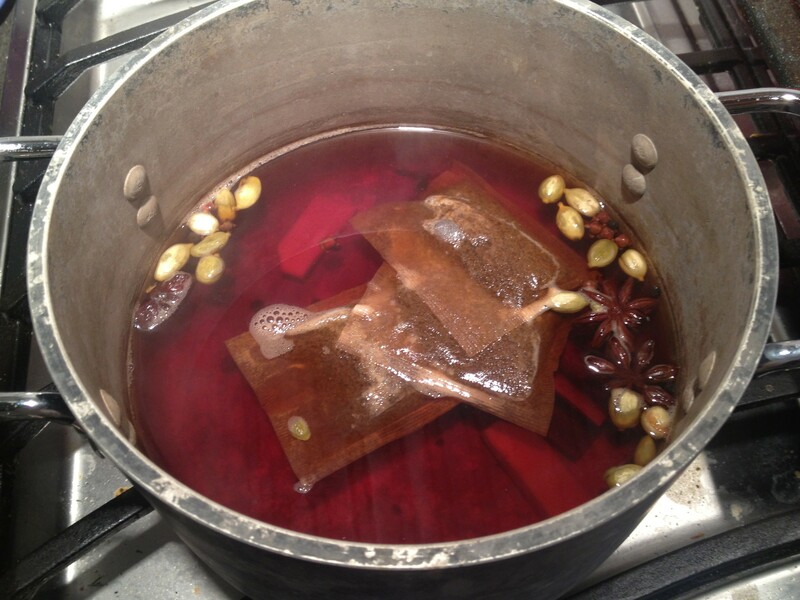 Add tea bags and let simmer for only 2 or 3 minutes more. Strain liquid and then pour back into saucepan on low heat. Add milk, honey and vanilla, stir for a few minutes, remove from heat, and ahhhh, enjoy!